Vaughan Vinyl flooring has come a long way in the past few decades. 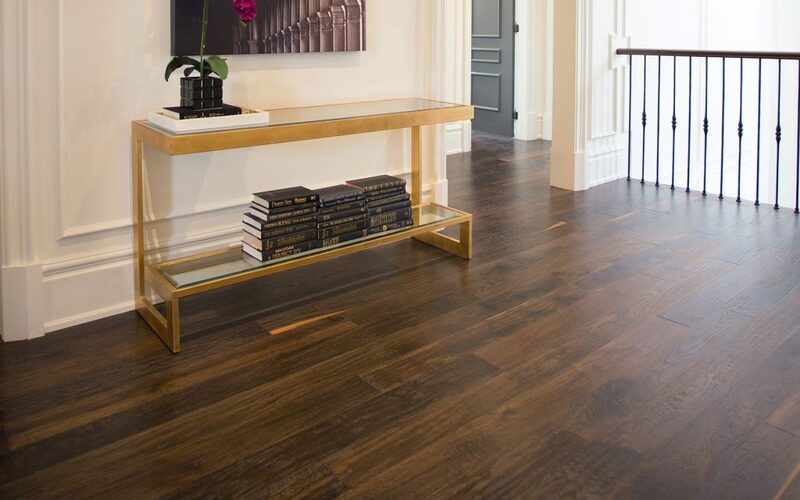 Once an plain-looking, scuff-prone surface of the 80’s, vinyl has quickly become one of the most developed flooring types in the entire industry. These advancements have allowed vinyl to break free of its past and establish itself as an effective option for creative designs and home decor. Nowadays, anyone who uses vinyl flooring can enjoy a wide range of styles, models, and shapes to bring their interior visions to life. Vinyl offers several advantages over other tile types that have helped build its appeal throughout the years. First, vinyl floors are low-maintenance and easy to take care of so you don’t have to worry about water damage or causing a streak by walking the wrong way. Second, vinyl is extremely durable and friendly to foot traffic, making it an excellent choice in both residential and commercial uses. 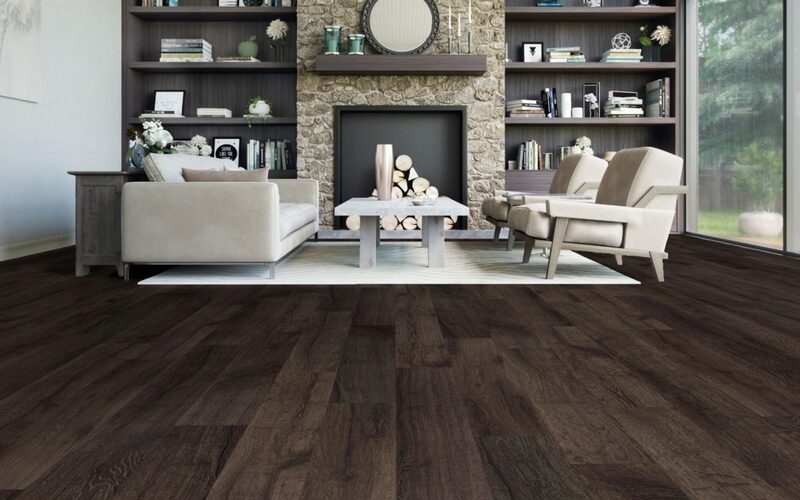 Third, developments in vinyl have allowed it to mimic the appearance of other flooring types, including wood and stone. This means you can enjoy the look of grain wood or marble floors without having to worry about the maintenance hassles that normally come with. Lastly, vinyl is a very cost-effective option for flooring, making it easy to do projects large and small without straining the pocketbook. Waterproof WPC: The acronym stands for ‘wood-plastic composite’ and the full name leaves no guessing as to why it’s popular. WPC is most commonly used to replicate the look of wooden floors while still offering the strengths and water-resistance of vinyl. Luxury Vinyl Planks/Tile: The ‘luxury’ part of the name distinguishes these flooring options from the older, less reputable types of vinyl. LVP and LVT are of much higher quality than earlier models and include a protective coating to better promote long-lasting floors. Incidentally, WPC is a subcategory of luxury vinyl planks. Rigid Core Vinyl: This type of vinyl emphasizes being tough and rigid, allowing it to be used on surfaces that would be too uneven for other types of flooring. Vinyl flooring in Vaughan that uses rigid core technology is able to resist waves and ‘ripples’ that would otherwise result from uneven subfloors. Loose Lay: As the name suggests, loose lay vinyl flooring is a type of plank that is designed to fit together snugly without the need of interlocks or glue. All you have to do is place the planks down over the subfloor and ensure they are flush with the wall. This ease of installation means loose lay vinyl flooring in Vaughan is extremely popular with the DIY crowd as the only tool you need is measuring tape. Groutable Tile: Grout is one of those things where you only notice it if the job’s done poorly—or if its missing entirely. Although vinyl tiles can be made that don’t require grout, it’s hard to truly replicate the look of ceramic or stone tiles without it. That’s why groutable vinyl tiles exist: so you can get the full tile experience while still enjoying the resilience and style benefits of vinyl. Click Planks: A click plank floor is similar to loose lay except the planks are designed to ‘click’ together, sort of like a jigsaw puzzle. The biggest advantage to using click plank vinyl flooring is that there is no need to prepare the subfloor—you can even install click planks over top of existing tile.